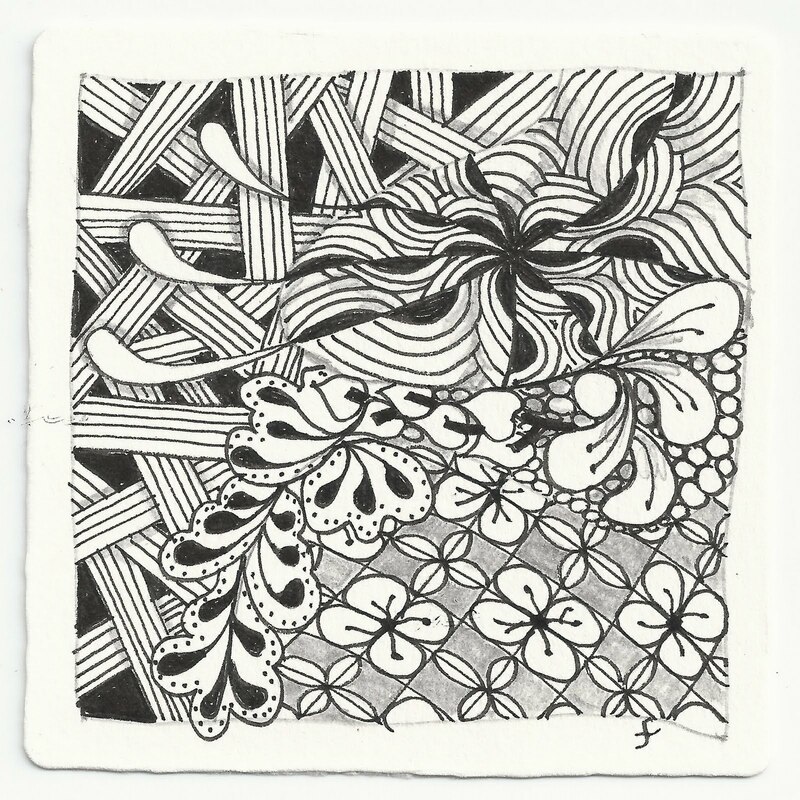 This week we had to have someone else draw a string for our Challenge tile. I have to thank my dear husband for a very nice string to work with on this one. He actually gave me two to work with, so hopefully will have another one completed before the week is over. Thanks Laura for another great challenge . I really like the sweeping way you finished off Ixorus, Joni! Very nice! I agree with Shelly about the Ixorus. Ditto, Ixorus really has flare! 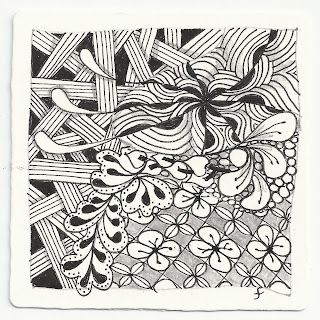 What a very luscious string he drew - and what fabulous tangles! This is beautiful, Joni....... as is all your work. Beautiful!! The tangles work nicely together.